Angela's clinical practice includes bodywork and movement sessions. Based on the goals of the individual and her experienced assessment skills, Angela draws from a wide range of techniques to customize each session. 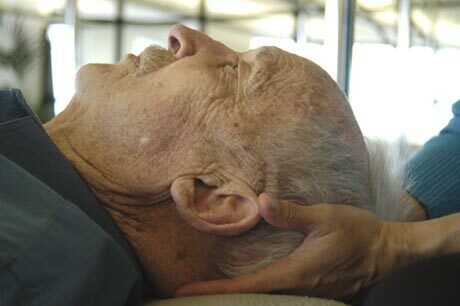 Bodywork sessions include massage therapy, neuromuscular therapy, myofascial release, acupressure, and Feldenkrais®. Principles of Intelligent Movement® is her trademarked approach to integrating current science and state of the art movement systems. Angela's studio is fully equipped with GYROTONIC® and Pilates. She has used these systems successfully for over twelve years. Her proven approaches dramatically improve strength, flexibility, coordination, performance, posture and ease of motion. Angela's expertise is known for problem solving difficult rehabilitation needs and meeting the exceptional needs of elite athletes and performing artists. The environment of her studio is warm, private, and beautiful with state of the art equipment. By appointment in Denver or on location, please contact Angela for details.